Fabric and sewing patterns for the maverick sewist. VOGUE 2930 sewing pattern. Tom and Linda Platt Vogue American Designer. Size 10-12-14. New. Uncut. Factory folded. VOGUE 2902 sewing pattern, Vogue Vintage Model Original 1952 Design. size 12-14-16 New. Uncut. Factory folded. VOGUE 1089 sewing pattern. Badgley Mischka Vogue American Designer. Size 16-18-20-22. New. Uncut. Factory folded. Solid Purple Cotton Sateen. Fabric by the yard. Cotton and spandex blend. Ideal for apparel sewing. Embroidered Microsuede Fabric in Light Turquoise. Embroidered fabric by the yard. Ideal for apparel sewing. VOGUE 2220 sewing pattern. Vogue Americana Oscar de La Renta. Original vintage Vogue from the 1960s. Size 16. New. Uncut. Factory folded. 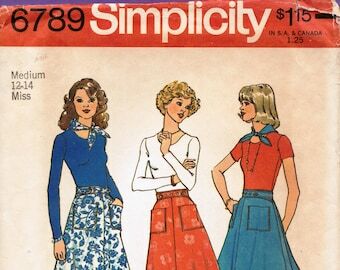 SIMPLICITY 6789 vintage sewing pattern. Size Medium (12-14). New. Uncut. Factory folded. An original Simplicity pattern from 1974. 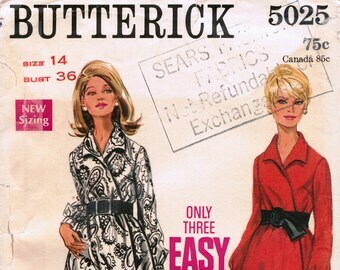 BUTTERICK 5025 vintage sewing pattern. Size 14. Bust 36. New. Uncut. Factory folded. Original Butterick pattern from late 1960s. VOGUE 1042 sewing pattern. Size 14-16-18-20. New. Uncut. Factory folded. VOGUE 1382 sewing pattern. 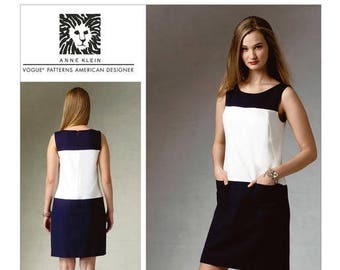 Anne Klein Vogue Patterns American Designer. Size 16-18-20-22-24. New. Uncut. Factory folded. 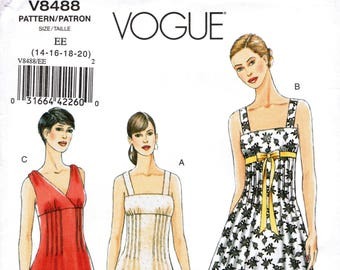 VOGUE 1107 sewing pattern. Chado Ralph Rucci Vogue American Designer. Size 14-16-18-20. New. Uncut. Factory folded. VOGUE 1329 sewing pattern. 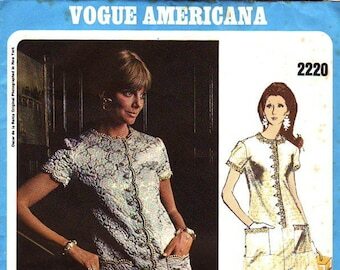 Kay Unger New York Vogue Patterns American Designer. Size 16-18-20-22-24 New. Uncut. Factory folded. VOGUE 2783 sewing pattern. DKNY Donna Karan New York Vogue American Designer. Size 12-14-16 New. Uncut. Factory folded. 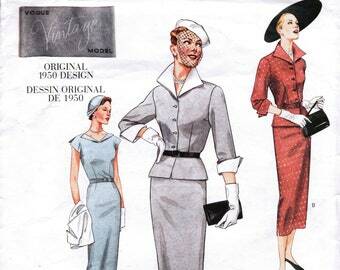 VOGUE 2064 sewing pattern. Vogue American Designer Donna Karan. Size 6-8-10. New. Uncut. Factory folded. VOGUE 1449 sewing pattern. Vogue American Designer Rebecca Taylor. Size 14-16-18-20-22 New. Uncut. Factory folded. SIMPLICITY 3823 sewing pattern. Evening dress pattern. Size 14-16-18-20-22 New. Uncut. Factory folded. 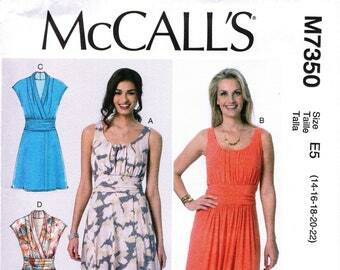 MCCALL’S 5972 sewing pattern. Laura Ashley design. Size 14-16-18-20 New. Uncut. Factory folded. 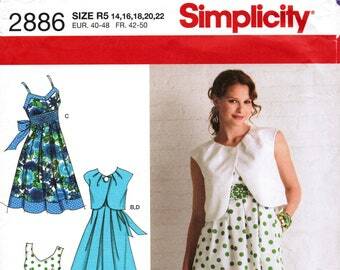 SIMPLICITY 1658 sewing pattern. 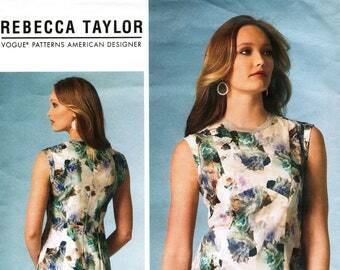 Jessica McClintock designer dress pattern. Size 14-16-18-20-22 New. Uncut. Factory folded. 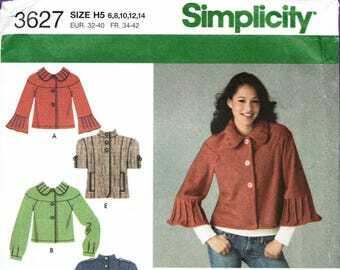 SIMPLICITY 3627 sewing pattern. Jacket pattern. Size 6-8-10-12-14 New. Uncut. Factory folded. BUTTERICK 5259 sewing pattern. Size 8-10-12-14. New. Uncut. Factory folded. VOGUE 8488 sewing pattern. Dress pattern. Size 14-16-18-20 New. Uncut. Factory folded. 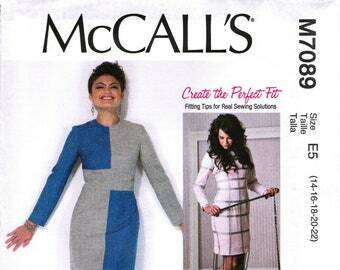 MCCALL’S 7089 sewing pattern. Designer Joi. Size 14-16-18-20-22. New. Uncut. Factory folded. SIMPLICITY 2886 sewing pattern. Size 14-16-18-20-22. New. Uncut. Factory folded. 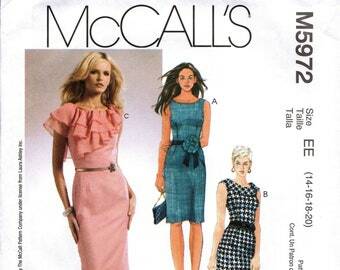 MCCALL’S 6027 sewing pattern. Size 12-14-16-18-20. New. Uncut. Factory folded. 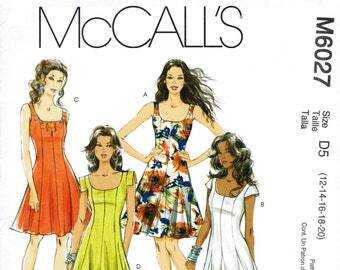 MCCALL’S 7350 sewing pattern. Size 14-16-18-20-22. New. Uncut. Factory folded. SIMPLICITY 2951 sewing pattern. Dress pattern. Inspired by Project Runway. Size 12-14-16-18-20 New. Uncut. Factory folded. 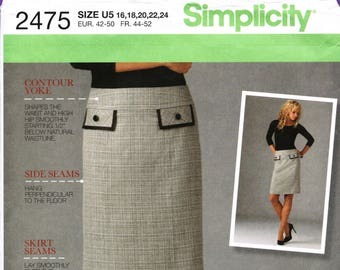 SIMPLICITY 3529 sewing pattern. Dress pattern. Inspired by Project Runway. Size 12-14-16-18-20 New. Uncut. Factory folded. SIMPLICITY 2404 sewing pattern. Misses dress pattern. Size 16-18-20-22-24 New. Uncut. Factory folded. SIMPLICITY 3881 sewing pattern. Skirt pattern. Size 14-16-18-20-22 New. Uncut. Factory folded. SIMPLICITY 2475 sewing pattern. Misses skirt pattern. Size 16-18-20-22-24 New. Uncut. Factory folded. 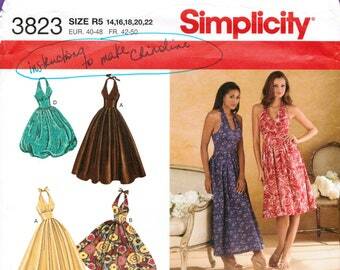 SIMPLICITY 4189 sewing pattern. Skirt pattern. Size 6-8-10-12-14 New. Uncut. Factory folded. BURDA 7796 sewing pattern. Size 8-10-12-14-16-18 New. Uncut. Factory folded. From 2008. SIMPLICITY 3956 sewing pattern. Blouse pattern. Size 12-14-16-18-20 New. Uncut. Factory folded. BURDA 7379 sewing pattern. Burda Style dress and tunic pattern. Size 8-10-12-14-16-18-20 New. Uncut. Factory folded. 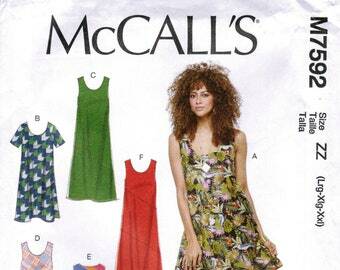 MCCALL’S 7100 sewing pattern. Size Lrg-Xlg-Xxl. New. Uncut. Factory folded. Received this pattern promptly and it is exactly as described. Great service. 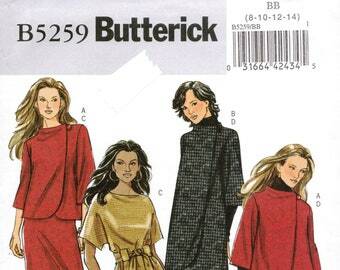 BUTTERICK 5450 sewing pattern. Dress and tunic pattern. Size 14-16-18-20. New. Uncut. Factory folded. Great pattern and great service! Thank you! VOGUE 1044 sewing pattern. Vogue Vintage Model Original 1956-1957 Design. Size 12-14-16. New. Uncut. Factory folded. Sewing is both nature and nurture for me. All the female members of my family are or were dressmakers. With this shop -- selling fabric and patterns to my fellow sewists -- I am carrying on and expanding a proud family tradition.